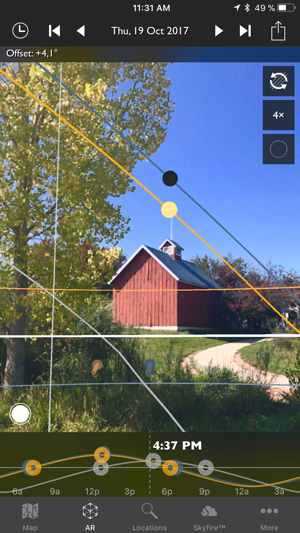 The Photographer's Ephemeris (TPE) helps plan outdoor photography shoots in natural light, particularly landscape and urban scenes. 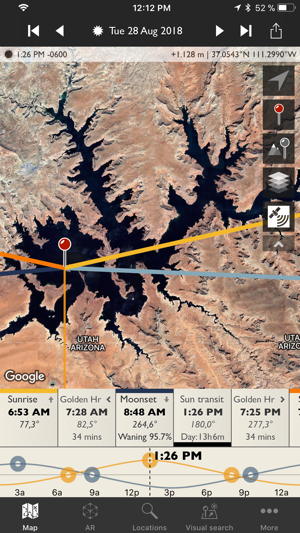 It's a map-centric Sun, Moon and Milky Way calculator: see how the light will fall on the land, day or night, for any location on earth. 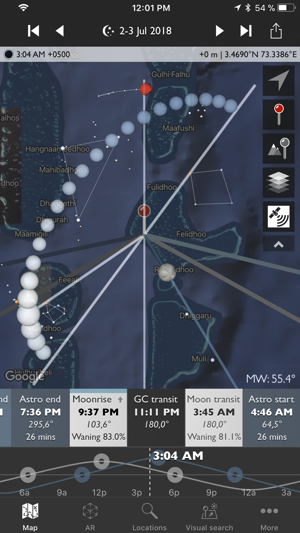 Whether you need at-a-glance information on today's sun, moon and Milky Way data for your current location, or need to plan a precise alignment of the full moon for a future shoot, TPE has the tools you need. The combination of augmented reality, line-of-sight analysis and visual search supports the most sophisticated photo planning needs. Night mode features a 3D representation of the Milky Way, pole stars and major constellations directly over the map, so you can easily visualise exactly how to align your shot. 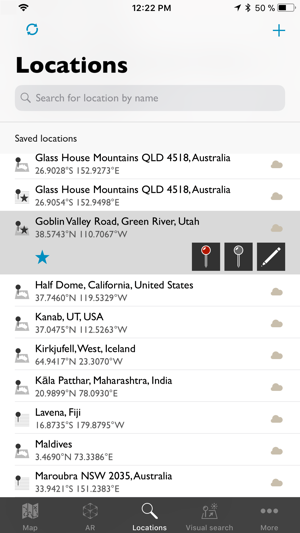 Research and save your own list of favourite photographic locations, using seven different map types (including two offline maps) and save them in your locations list. Favourite locations are always displayed right there on the map. 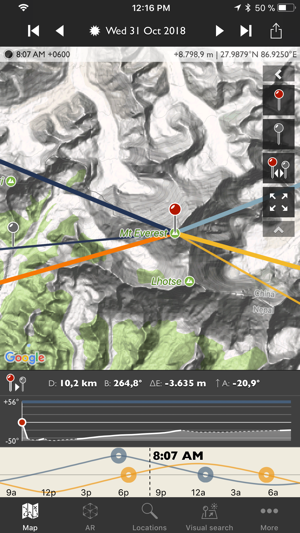 Advanced features including visual sun and moon search, automatic time zone and elevation detection, correction for atmospheric refraction and height above the horizon, ensuring that you have the best possible information for planning your shoot. 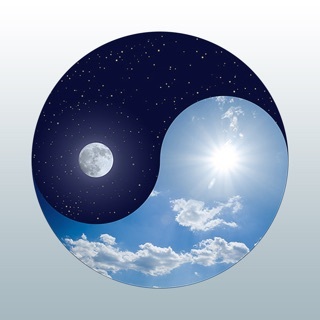 You can even determine when the sun or moon will rise from behind nearby hills and mountains. Sunrise/sunset color forecasts are available (covering lower 48, southern Canada and Europe) with a subscription to the Skyfire service, available via in-app purchase. Please send your feedback and suggestions to support@photoephemeris.com - we'd love to hear from you. If you're enjoying TPE, a review on the App Store is really helpful, and lets us keep improving the app. Meget bra hjelpemiddel for lanskapsfotografen og astrofotografen. I like the idea behind this. Sadly it crashes very often, which is very irritating. Not worth the price as long as performance is this bad. So if that's what you need, it's worth the money!